Today is a good day for something yummy. Something moist and satisfying, a little sweet (but not too much) and cinnamon-y. Something quick to make that isn’t screaming BAD FOR YOU as it passes by your lips. Something that comforts you as you drink a steaming mug of hot cocoa, tea or coffee with it. 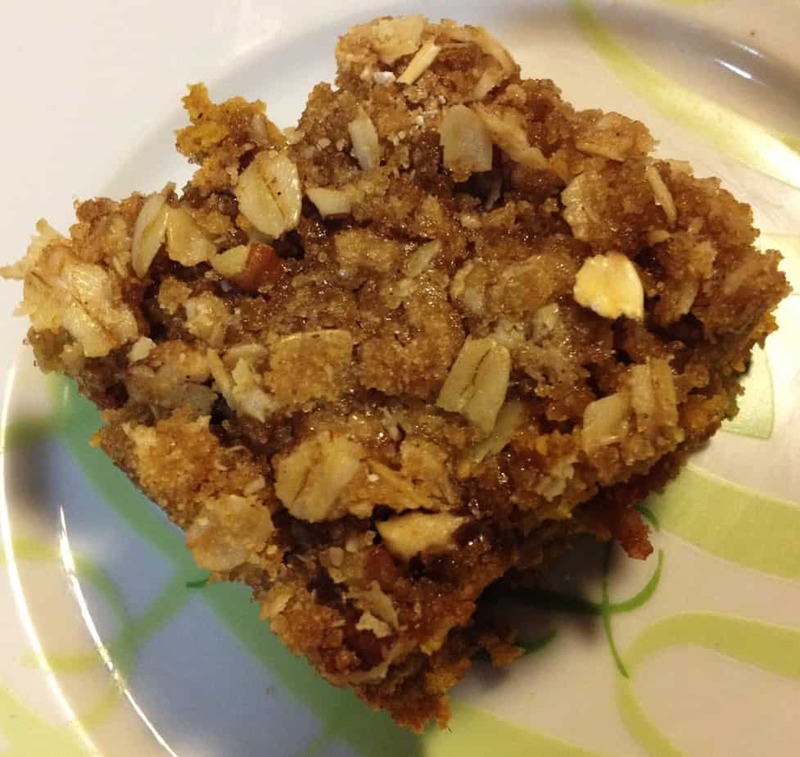 I’ve got the perfect thing for you: Pumpkin Oat Coffee Cake. (And good news: It contains no WHEAT flour so it’s easy to make GF!) It’s got healthier ingredients than your normal run of the mill coffee cake, so you can eat it without guilt. This lovely coffee cake has become my latest addiction (yes, admittedly, in a long line of addictions). I’m a sucker for anything with pumpkin and cinnamon in it (although this doesn’t TASTE pumpkin-y to me, but the pumpkin really adds moisture and density). Preheat oven to 350 degrees. Grease 8×8 pan. 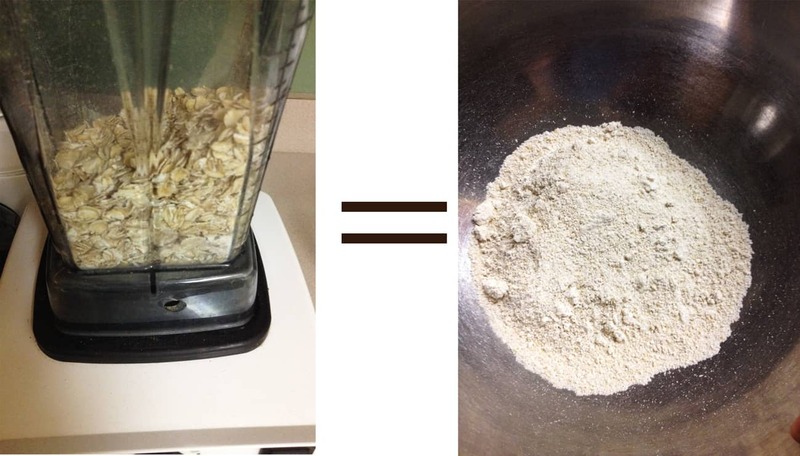 Pour 1.5 cups of oats, plus 1/8 cup of oats in Vitamix or other blender and whiz into flour consistency. Measure out 1/8 cup of the blended flour and set aside. Pour the rest into a medium bowl. 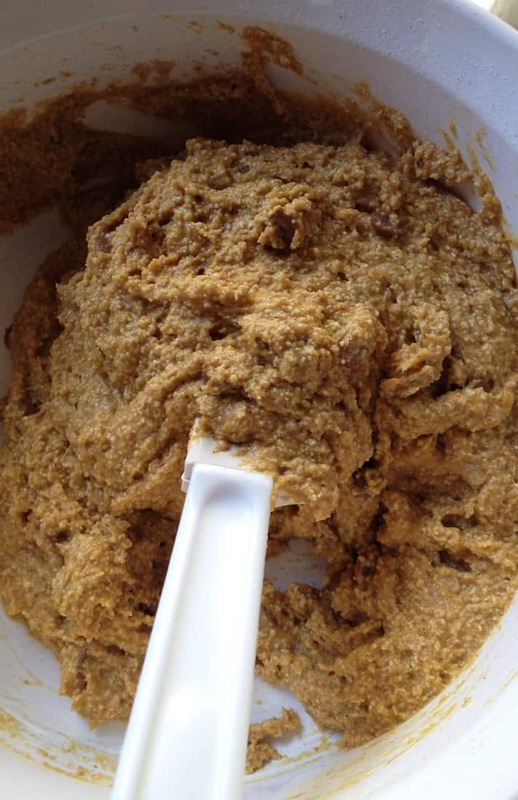 Mix all the dry ingredients for cake into the 1.5 cups oat flour. Add the wet ingredients and stir together. Add the cinnamon or chocolate chips. NOTE: This mixture will be pretty stiff–more like cookie dough and less like cake batter. Don’t despair! This is how it’s supposed to be. Pat the mixture into the 8×8 pan. In small bowl, add reserved 1/8 cup oat flour and cinnamon and brown sugar. Stir together. Cut in butter. Stir in rolled oats and pecans. Sprinkle on top of cake. Bake in 350 oven for 20-30 minutes. It’s good straight out of the oven, gooey and hot as well as cooled down, so why not eat it both ways–now and later! 🙂 Let the drooling begin. And don’t forget your warm beverage to drink with it. The combo is a perfect antidote to a cold, dreary winter. Mmmm. 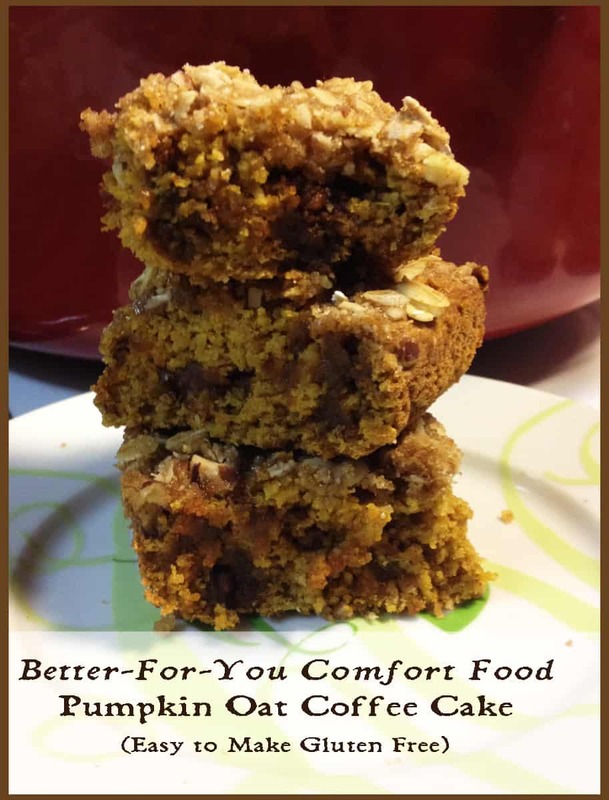 PS You can easily make this recipe gluten free with GF oats and vanilla. If you want to make your own GF vanilla, here’s how.